Compare healthy meal delivery services Dinner Twist, HelloFresh, Lite ‘n’ Easy, Marley Spoon, Nourish’d, The Cook’s Grocer and Youfoodz on value for money, taste & quality of ingredients, variety of meals available, ease of ordering, freshness of meals or ingredients, delivery, customer service and overall satisfaction. For the second year in a row, Youfoodz has topped Canstar Blue’s customer satisfaction ratings for healthy meal deliveries. It earned five stars for taste and quality of ingredients, variety of meals, ease of ordering, freshness of meals or ingredients, delivery, and overall satisfaction. For some, cooking is the chance to flex their culinary skills, creating mouth-watering meals from scratch to impress house guests. But for others, cooking is another chore to add into a busy day, something that only results in more washing up. 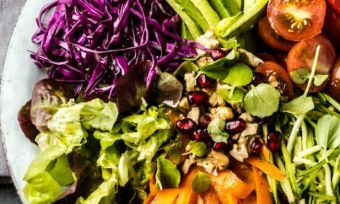 Regardless of which camp you belong to, the sudden rise of the healthy meal delivery industry has been a saviour for households often pressed for time or too tired after a hard day’s work or play. Having a variety of tasty meals delivered straight to your door is also a handy alternative to fighting for a parking space on those hectic Saturday mornings outside your local supermarket, meaning some Aussies may not need a lot of convincing to begin ordering from a delivery service. And when it comes to finding a brand to trust with your weekly meals, consumers have plenty of options to sink their teeth into. How do you know which service is worth your time and money? Our customer ratings offer a helpful guide. 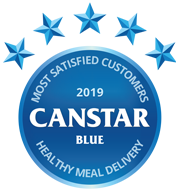 Canstar Blue surveyed nearly 900 Australian adults – who have used a ready-made meal delivery service in the last six month – to find out which brand is the best-rated on factors including taste & quality, ease of ordering, meal variety and food freshness. Youfoodz takes the title for the second year in a row, ahead of Nourish’d, Lite ‘n’ Easy, HelloFresh and Marley Spoon on four stars overall. The Cook’s Grocer and Dinner Twist rated three stars overall. There are plenty of reasons why people enjoy using healthy meal delivery services, whether it’s for the convenience, to lose weight, or for an easy way to try new foods. On average, our survey respondents spend $192 a month on healthy meal deliveries, down from $221 compared to last year’s survey. 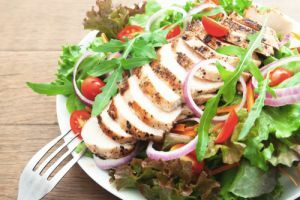 While they’re certainly convenient, they’re probably not as cheap as buying and cooking similar ingredients at home, which is the trade-off you have to make for fast but healthy food. 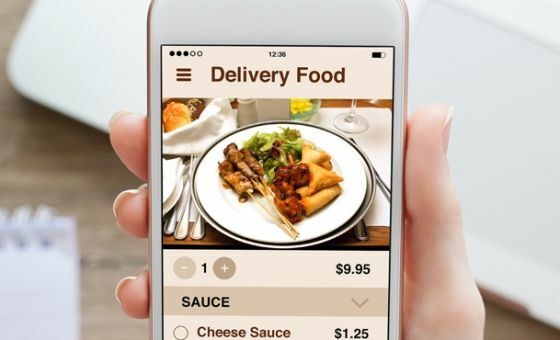 Almost eight out of ten respondents to the survey (77%) said they would use such food delivery services more if they were cheaper – down from 81% – while more than half (53%) only tried it in the first place because they had a discount or promotional offer. Clearly, price is a big factor when choosing a healthy meal delivery service. Despite this, survey respondents had an overall favourable view of healthy meal deliveries – 71% say they would recommend them to a friend, although this has reduced from 80% in last year’s survey. If you’re looking to foray into fresh food, delivered to your door with minimal fuss, we’re here to help you find the right service for you. Youfoodz is a popular option for busy (and hungry) households. Like most brands within the industry, the majority of Youfoodz’s range comes in the form of healthy foods that could help you lose a few kilos, while also coming in clutch when you’ve forgotten that it’s your turn to cook. Shoppers can either stack up on individual meals, or can order plans to suit your lifestyle or eating habits. Meals are broken into the three major meals of the day, as well as snacks and drinks for those looking for something a bit extra. YouFoodz meals are cooked by chefs and vacuum-sealed to stay fresh for up to 9 days, meaning those prone to forgetting about their food in the back of the fridge are covered. Food starts from $4.95, while the Starter Plan will set you back just under $100. To also make life easier, there aren’t any contracts with YouFoodz, with the brand also offering free delivery to select areas around Australia. If you struggle to stick to diets or eating plans, Youfoodz additionally offers the 70/30 plan, with 70% of your order healthy, low calorie meals, while the other 30% are foods that might soothe your sweet tooth and cravings. 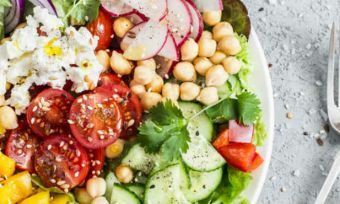 Nourish’d is a relative newcomer to the healthy meal delivery market, although it has made an impact on some consumers with its range of healthy alternatives. With options for paleo, keto, and low-carb diets, as well as meals for those who suffer with dairy or nut allergies, Nourish’d may be the option for shoppers looking to stick to that clean lifestyle, although the company only currently deliveries to the East Coast of Australia. The menu regularly changes, meaning plenty of variety when it comes to meal time, with Nourish’d also offering multiple portion sizes to suit your personal appetite, including Athlete portion sizes for those who are constantly in the gym, or the Mix & Match option for those buying for multiple people. Nourish’d provides a number of payment plans, ranging from small five-meal orders up to 28-meal orders for those ordering for the whole house. You can build your own order, with prices starting from just under $13 per meal. Snacks are also available, making it a handy option for those who suffer from sugar cravings, or need an afternoon pick-me-up. The only brand to score five stars on value for money, Nourish’d additionally scored five stars for freshness, while scoring four stars for all remaining categories. One of the most well-known names in the market, Lite ‘n’ Easy is more aimed at those who are looking to lose weight, with the brand offering a number of meal options and plans to suit all budgets and tastebuds. Delivering nationwide, Lite ‘n’ Easy says it utilises dieticians to ensure consumers are getting the optimal nutritional intake for their health goals. Consumers can choose between Dinner-only or Full Day plans, with calorie targets additionally available, meaning it can be personalised to your lifestyle or health goals. However, you may have to look elsewhere if you have specific dietary requirements, although Lite ‘n’ Easy’s menu covers a range of cuisines, helping to spice up meal time. Prices will vary from state to state (although a full 7-day plan will generally cost you under $200), with Lite ‘n’ Easy listing the full price range on its website, making it easy to factor your meal plan into your budget. Along with a five-star rating for delivery, Lite ‘n’ Easy was the only brand to achieve top marks for customer service, with four stars in all remaining categories. First launched in Germany, HelloFresh has expanded on a global scale. 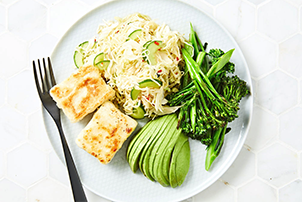 Offering three plans, including the Veggie Plan, the Classic Plan and the Family Plan, HelloFresh may be a handy option for those with multiple mouths to feed. Instead of delivering pre-made meals, HelloFresh provides all the fresh ingredients for households to help cut down on preparation time, rather than the cooking itself. Like most other competitors, HelloFresh has a rotating menu, meaning you’ll get plenty of options to choose from during your subscription. Each plan contains a number of meals for each person, with the costs coming down to about $9 per meal, depending on the meal. In addition to the ingredients you’ll also receive a recipe to follow, with HelloFresh outlining the preparation time and cooking difficulty of each meal, making it easier to choose which meals you’d like to try. 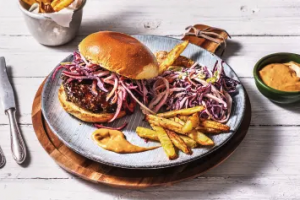 Delivering to major cities around Australia, HelloFresh is certainly worth checking out if you’re still partial to whipping up a storm in the kitchen. HelloFresh was rated four stars for taste & quality, ease of ordering, freshness, delivery, customer service and overall satisfaction. It got three stars on value for money and variety of meals. 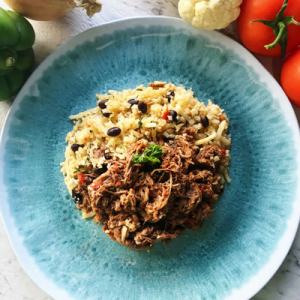 Marley Spoon offers another option for those who still enjoy spending time in the kitchen, but don’t enjoy venturing out to the supermarket or farmer’s market. 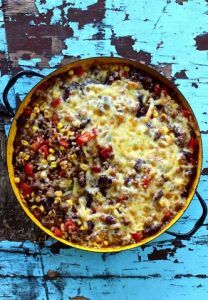 With a menu that changes on a weekly basis, Marley Spoon includes dairy-free, gluten-free, vegetarian and low-carb meals to suit the whole family. In the box, you will find recipes in addition to the fresh ingredients, although the meals are more centred towards dinner options than other meal times. However, a Fruit Box is also available for under $25 a week, making it a handy option for those breakfast smoothies or healthy snacks. Offering a two-person or four-person box (with each meal costing around $10 depending on which option you select), you can pick how many meals a week you would like, making family meal time easier for busy households. Additionally, if you’re going away for a week – or the fridge is running out of space – you can put your subscription on hold, or simply skip a week, making it easy to work around your lifestyle. 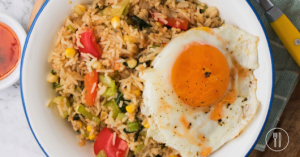 While it offers free delivery, Marley Spoon is only available on the East Coast of Australia, meaning those elsewhere may miss out, although the brand states on its website that there are more delivery options on the way. Rated four stars for overall satisfaction, taste & quality, freshness, delivery and customer service, Marley Spoon scored five stars for ease of ordering, but three stars on value for money and variety of meals. The Cook’s Grocer seems to find the middle ground when it comes to what’s in the box, with ingredients and pre-made meals available across its menu, making it handy for those nights when you just don’t feel like cooking. The Cook’s Grocer currently only delivers to addresses in major NSW and ACT cities, although more locations are set to be added in the future. Consumers can either sign up for a weekly delivery (with meals costing $8 with free delivery), as well as a one-off delivery, which works out at $8.75 per meal, plus delivery. Boxes include two-person, four-person and Family sizes (2 adults, 2 children), with subscriptions able to be paused or cancelled at any time, with no contracts. Fruit & Veg Boxes are also available, ranging in size and price to ensure you’re getting your daily dose of vitamins and minerals, as well as helping to mix up what’s on the menu. The Cook’s Grocer was rated three stars across most research categories, except value for money where it achieved four stars. Another brand that delivers fresh ingredients to your door, Dinner Twist may be the go-to option for those on the west coast, exclusively delivering to addresses in and around Perth. Available in either weekly or fortnightly deliveries, Dinner Twist also works around your schedule by allowing users to skip a week or cancel your subscription at any time. 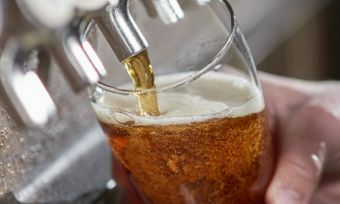 Hungry consumers are treated to plenty of options, all of which come out around $10 per serve. Options include the Express Box (which you can create a meal from in less than 20 minutes), as well as the Family Box, Wholesome Box and Vegan Box for those looking for specific dietary requirements. If you’re looking for something a bit extra in your meals, you can also add fruits and gluten-free breads, as well as upsize your protein, although it’ll set you back at the checkout. Dinner Twist does not include the nutritional or calorie intake of its foods on its website, instead steering towards a holistic approach to eating, although all recipes are said to be overseen by qualified nutritionist to ensure that you still end up with a healthy meal at the end of your fork. 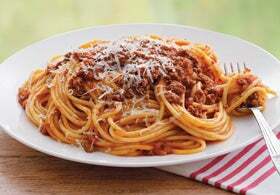 Despite rating three stars for variety, ease of ordering, freshness, delivery, customer service and overall satisfaction, Dinner Twist was rated four stars on value for money and taste and quality. It’s hard to argue against someone else preparing and cooking your dinner, especially with healthy meal deliveries also cutting down on the guilt you feel when you order takeaway. And if you’re looking to switch up your eating habits, try new foods, or lose a few kilos, healthy meal deliveries may just be worth looking into. But the service often doesn’t come cheap, so keep an eye on costs if you’re looking to make regular orders. Ultimately, which provider you go with will come down to your personal preferences, as well as how much time you have on your hands. Those rushed off their feet would prefer pre-made meals, while those who feel at home in the kitchen may have no issue with the fresh ingredient varieties, leaving you to keep your hands dirty and do the cooking. They say variety is the spice of life – and that’s certainly true when it comes to food. But like eating the same old foods, don’t just stick with a meal delivery service out of convenience if it’s leaving you feeling a little underwhelmed at the end of meal time. Try new providers, new meals, and shop around to make sure you’re getting great food, and value. Canstar Blue surveyed 6,404 Australian adults across a range of categories to measure and track customer satisfaction, via ISO 26362 accredited research panels managed by Qualtrics. The outcomes reported are the results from customers within the survey group who have used a ready-made meal delivery service in the last 6 months – in this case, 872 people.